This Valentine’s Day, Bing is urging people to break up with Google by promoting some statistics about the value of trust and the frequency of ending current relationships on this supposed day of love. This is yet another attempt in Bing’s ongoing effort to attract a larger share of the online search market from Google. 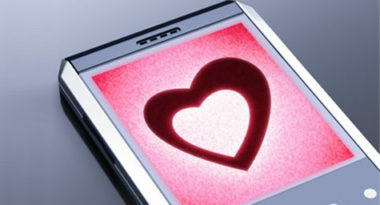 MediaPost.com reported on Bing’s marketing approach and featured findings on the Web’s increasing use as a link to love. Most people research and purchase their Valentine’s Day gifts one to two weeks before the actual holiday. According to a survey from the NRF and BIGinsight, 26.3 percent of buyers plan to find their Valentine’s gifts online this year, which is a seven-percent jump from last year. The study also indicated that almost 47 percent of tablet owners would research gift ideas and purchase presents on their digital devices, while around 40 percent of smartphone users plan to shop for gifts on their mobile phones. Each year, florists see a boom in business at Valentine’s Day, yet a surprisingly small number offer online ordering and almost three-quarters of their websites are not optimized for optimal viewing on mobile devices. This may not have been an issue in the past, but the growing prevalence of both online and mobile shopping may soon affect their business by driving consumers to their more tech-savvy competitors. On a happier note, other websites have come up with creative ways to woo online users this Valentine’s Day. The streaming music service Spoonify just launched a Playlist Poetry site that invites users to create poetry from song titles and share them with those they love. The music service Radionomy has launched Facebook content that lets listeners express their devotion across 7,000 of the network’s radio stations this Valentine’s Day. Apparently, love is alive and well on the Web and growing stronger with each passing year. To learn more about integrating Bing into your search marketing strategy, contact MDG Advertising. MDG Advertising, a full-service advertising agency with offices in Boca Raton and New York, NY, is one of Florida’s top integrated marketing agencies. Our 360° approach uses just the right mix of traditional and digital marketing to reach your advertising goals. While some industries may fare better in print and others online, we strive to create a balanced approach, where traditional, digital, and search marketing efforts support each other and your message is tailored to the medium. To stay on top of Bing and the latest trends in search marketing, contact MDG Advertising.